Image © 2015 Leaf & Fin Aquaponics. All rights reserved. Ask permission before using. The backbone of any properly functioning aquaponics system. Fish feed is converted into Ammonia by the fish, then progressively converted into Nitrites and then Nitrates by a series of bacteria active in the system. Nitrates are readily taken up by plants via the root system. Aquaponics uses resources much more efficiently, saves water, can be used in cities and non-traditional spaces, avoids harsh chemicals and pesticides, grows in higher density, and provides consistent year-round production, among other things. 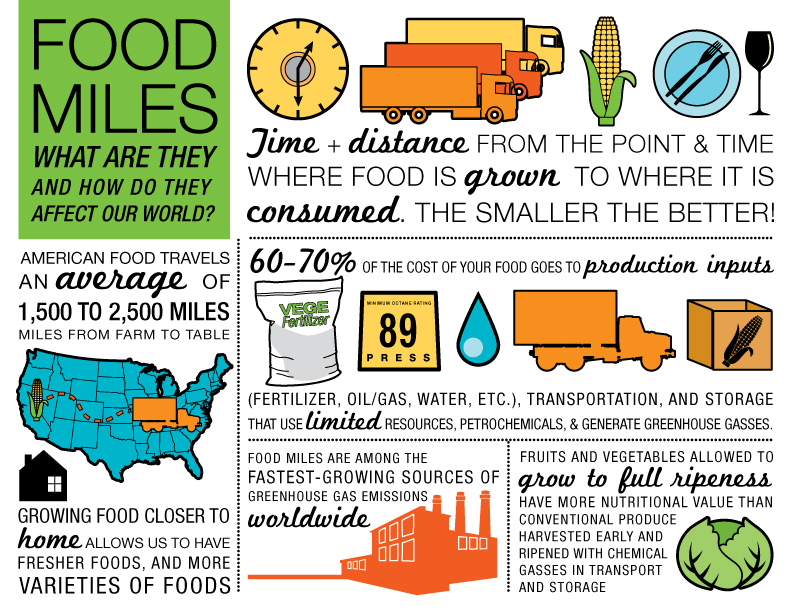 "Food Miles" put the ecological footprint and overall quality of food into perspective when considering all aspects of the food you eat.